They look like lollipops, but, you don't eat them ... you draw with them! Sweet crayons you make on your own with Make Lolly Crayons. Easy to make with the crayons crumbles included and it works with your own crayon crumbles, too. The silicon baking mold can be used again and again to create your own unique blend of crayon colors (get creative!). 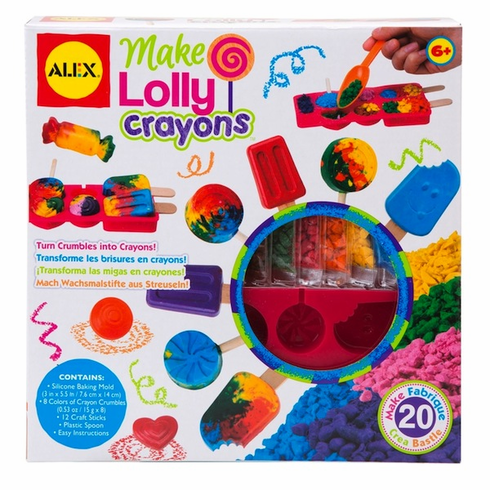 Includes baking mold, 8 colors of crayon crumbles, 12 pop and lolly sticks, plastic spoon and easy to follow instructions. For ages 6 and up.